1.4 Do I need primer? 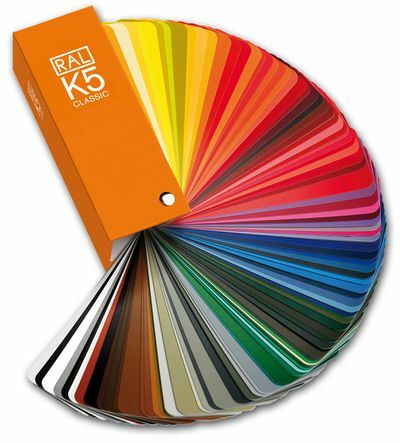 Your local hardware store and painting store should have hundreds of colors for you to choose from and is a great place to start. They can even alter colors if you would like it adjusted to your taste. Take plenty of sample color cards[purelocal.com/paintsamplecard] from the hardware store. It is a good idea to select two or three of any shade, as the lighting at the store may create a very different hue as the light in your home. Color also reacts to the time of day, so see how it looks in the morning, noon ,and evening. The small sample card is usually not adequate to give you the realistic impression. Try painting a three-by-three foot piece of plain cardboard or wood with two coats of the paint. You can purchase just a small sampler[sampleaday.com], rather than a gallon of something that was absolutely wrong. Move it around in the room you intend to renovate and see how the color looks on a large surface. Having a few inches of color as opposed to a whole wall is very different. Many paints are labeled as one coat only. That is mostly not true. In order to achieve a smooth, pleasing look, two coats are needed. Latex-based Paint Water based paints are usually the most popular choice for do-it-yourself and professional painters. Latex based painted have greatly improved in their performance over the years while still maintaining their forgiving nature. In other words, you can mess up. then clean it up or cover it up very easily. A wet rag will get rid of latex paint whether it's on carpet or hardwood floor. Latex based paint is also VERY easy to work with compared to oil based paint. It will not drip nearly as much and dries ten times faster. Latex paint can be used ANYWHERE in or out of your house. Latex paints come in a few different sheen's: Eggshell, Flat, Gloss, and Semi-gloss. Where you use the different sheen's is entirely personal, however, it is a very common practice to paint semi-gloss or gloss paint in your bathroom as the gloss makes the paint more water-resistant and much easier to clean. Oil-based Paint Oil based paints are taking a fall in popularity as latex paints are becoming the top dog. Over the years, latex paints have been the go-to as oil based paints don't offer much more of an advantage anymore. After a few years as a painter and painting hundreds of homes, I used oil based paint twice. The only area where oil-based paint is used anymore is on trim, fire places, or cabinets. The only advantage it offers is it's shorter term durability and great adhesion. This is why it is good on cabinets and trim. Cabinets and trim are meant to take a bit of a beating and oil paint helps with bumps and scuffs. However, they will need to be repainted every 3 or 4 years to ensure their durability. Oil based paints also offer a very smooth finish that is very hard to get with latex based paint. Clean-up is a nightmare with oil-based paint as the only way to remove oil based paint from anything is to douse it in paint thinner and hope for the best. Oil-based paints also take a full 24 hours to completely dry. They also tend to get brittle after a few years and can chip away. Most paints fall into one of the general categories of flat, satin, eggshell, semi-gloss and gloss. The flatter a paint the easier it can hide rough surfaces.The glossier a paint the easier it can be cleaned.A glossy paint will highlight every pit, crack, and crater in the surface it covers, making a wall look far worse than it actually is. That is why kitchen and bathrooms normally use semi-gloss paint and ceilings and living rooms usually use flat paint. The first step is to determine how big of an area you are painting in square feet. One gallon of paint covers approximately 250 square feet, or the average size of a bedroom, with one coat. Keep in mind that you will need to apply at least two coats for complete coverage in most cases. 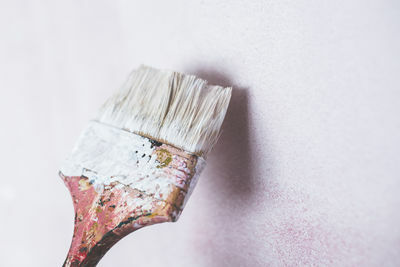 It is usually a good idea to pick up at least a quart of primer to cover up any dark marks, coloring on walls from crayons or markers, water stains, etc. as these will show through even multiple coats of paint. This plans on how much you are painting. Plan on 2-3 hours per room for beginners. If you have an furniture in the room, it would be best to move as much of it out as possible. This page was last modified on 15 September 2015, at 13:25. This page has been accessed 91,031 times.